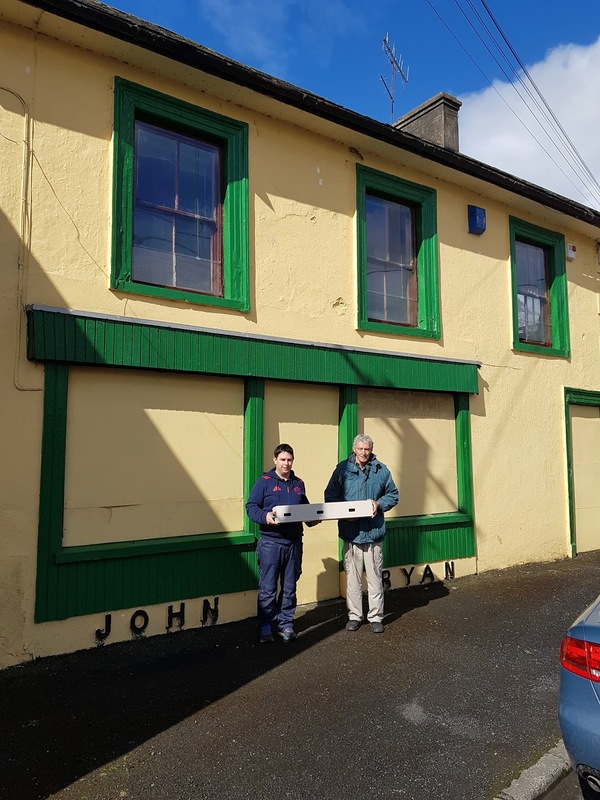 Last week eight communities in County Clare took delivery of 10 new Genesis Triple Cavity Swift Nestboxes. The project funded by Clare County Council through Heritage Officer Congella McGuire aims to establish new, safe and permanent nest sites for Swifts around the county. 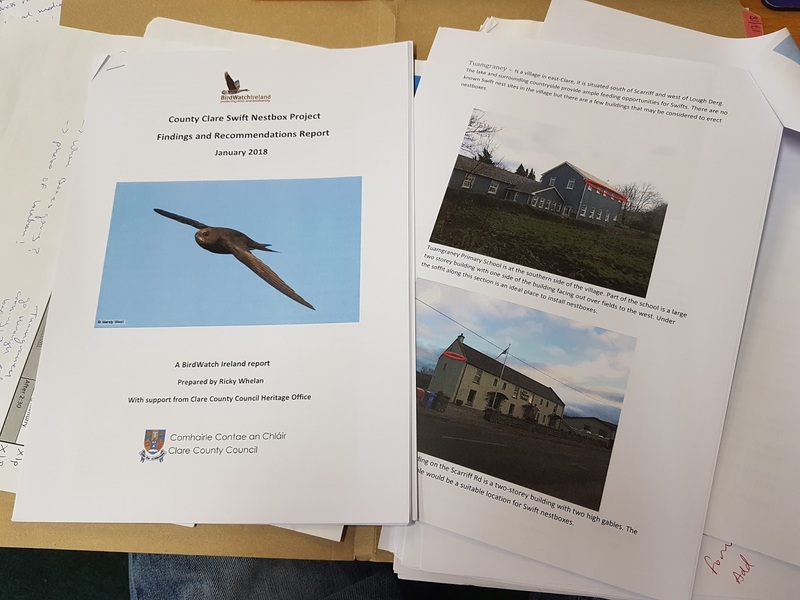 These projects were initiated as early as November 2017 when BirdWatch Ireland was invited to speak to Clare Tidy Towns Groups about biodiversity projects and Swift conservation measures that could be adopted locally. Following the talk the enthusiasm for Swift nestbox projects was very high and groups were invited to register their interest in establishing a project in their respective areas. 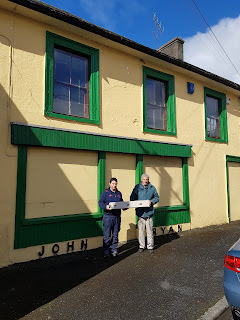 In December we visited 12 towns and villages in Clare to assess buildings for their suitability for Swift nestboxes. Potential locations were selected in all communities visited and a report circulated to the groups. 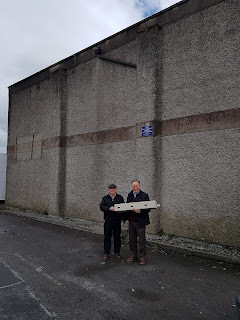 With groups on-board, suitable sites selected and permissions gained to erect the boxes we ordered a batch of new specially designed triple-cavity Swift nestboxes from Stephan De Beer of Genesis Nestboxes in Killarney. 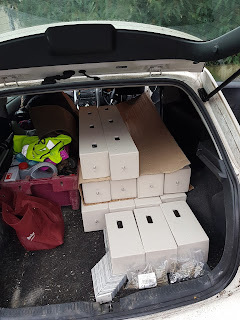 After a day spent in the car delivering boxes and giving final advice we are looking forward to seeing all the boxes up around Clare which hopefully will become home to Swifts in the coming seasons. To increase the probability of attracting Swifts to breed successfully, much thought is needed when selecting sites for nestboxes. In addition, specially designed nestboxes are required both to suit Swifts own needs but also to exclude would-be home invaders such as Starlings and House Sparrows which are well known to hi-jack Swift nestboxes. Lastly an audio lure can be played close to the nestbox entrances to attract the birds in. 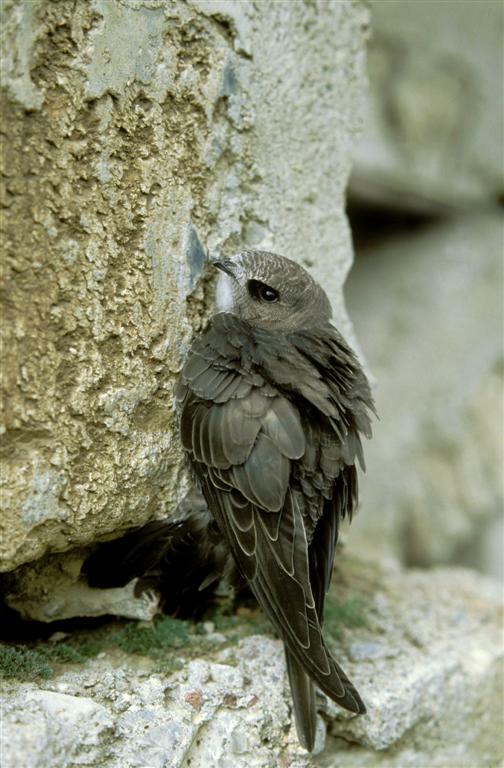 Swifts are colonial so are more likely to establish where they find their own kind, an audio lure mimics other Swifts thus attracting birds to the new nest sites. Well done to all the communities involved for all their efforts and enthusiasm so far. A big thanks to Congella McGuire for driving the effort and making the projects possible. Thanks to Stephan De Beer at Genesis Nestboxes for supplying the boxes and Lynda Huxley of Swift Conservation Ireland who has supplied the audio equipment for many of the groups and given lots of additional advice. 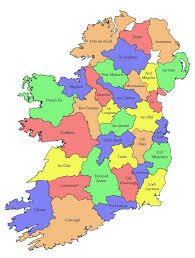 For more info on Swifts and BirdWatch Irelands work see our Swift Project Pages HERE. Keep following our Swift - Life On The Wing Blog for more projects, events, survey updates and Swift related news.